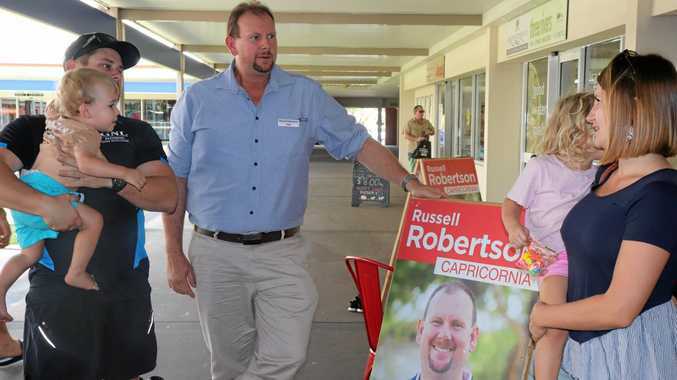 OUT WEST: ALP candidate for Capricornia Russell Roberston talks politics with Brodie Long and Milly Duggan in Moranbah. THE ALP is campaigning in the mining towns this week but it would appear candidate Russell Robertson has his work cut out for him if he's to win the traditional blue collar Labor vote. Mr Robertson has embarked on a trip to coal communities in the Bowen Basin, which he said have been ignored by the Federal Government. The three-day trip through one of Australia's largest electorates, which covers 91,000 square kilometres, or an area one third bigger than Tasmania, has taken Mr Robertson through the areas he has lived and worked in his entire life. "As a third-generation coal miner the industry is in my blood," he said. "I believe it is critically important to ensure the views of the thousands of men and women working in the dust and the draglines are properly represented in Canberra." The trip will take in Middlemount, Dysart, Clermont and Moranbah and a number of mobile office events are planned in communities along the way. "This is my community," Mr Robertson said. 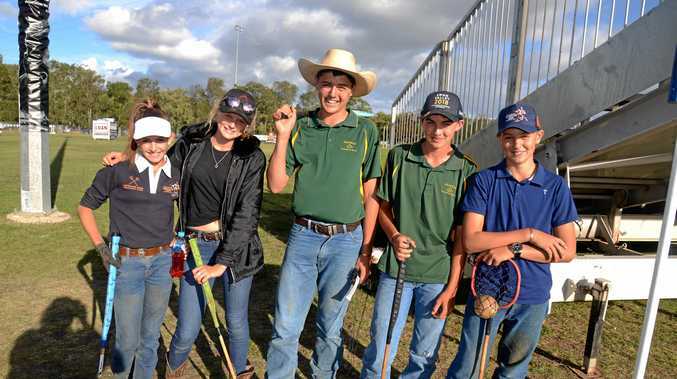 "This part of Queensland is and always will be my life, and it is great to stay closely connected with people whose concerns have for too long been ignored by politicians." Mr Robertson has encouraged people in the coal towns to come and talk to him and tell him what their priorities are. "Together we can make a difference," he said. "As I door-knocked Middlemount and Dysart yesterday, families spoke to me about wanting secure jobs and the devastating impact casualisation has had on the community's way of life." But if he thought his visit would pass the mining towns' pub test, he may have been mistaken. In Middlemount, where he was campaigning on Monday, publican Tina Beazley at the Middlemount Hotel said "everyone" was anti-Labor. "All our townies are coal miners and nothing else," she said. "In the past year they've been happier with the government for getting locals to work. "More locals are getting jobs and it's reduced the fly in, fly out, which is awesome. "We don't mind them coming from Rocky, that's in our area, but not from New South Wales,'' Ms Beazley said. "There's a lot of younger kids here getting jobs now. "The anti-coal campaign is working against Labor." At the Grand Hotel in Clermont, the reception was even worse. Kelvin Appleton, the publican there for 13 years, said he wouldn't allow Mr Robertson into his hotel. "Labor is a pathetic joke. They don't care about anyone, just about getting elected," he said. "Everyone is sick of the way they are being treated by Labor - he's not welcome here. They are rubbishing coal. "(Capricornia MP) Michelle Landry is trying hard and regardless, (coal) is our future." In Moranbah, newsagent Janine King said it was always a Labor town but she didn't think it was like that anymore. "People aren't happy with either party," she said. "They think they are just so full of promises to get them in and that's about it."